Attention all you rockheads! Be sure to catch some of the biggest head-banging rock acts in Malaysia this coming May at “The Seventh of Rockomania Festival: The Final Chapter”! 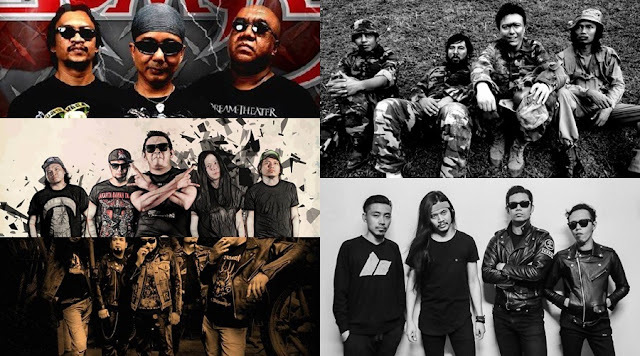 Headlining the rock festival is the famous indie rock band Hujan, thrash metal band Cromok, death metal band Langsuyr, heavy metal band Sil Khannaz and also Butterfingers featuring Emmett. Seventeen other rock acts will also join the five main acts; some of them include Sekumpulan Orang Gila, Tres Empre, Madhouse, Plague of Happiness, Massacre Conspiracy, Dish, Battleground and more! Rockomania is set to take place at the Chin Woo Stadium, Kuala Lumpur on 21 May 2016, from 1pm to 10pm. Tickets can be purchased at ticketpro.com.my, only at RM50, and they will go on sale from 30 March onwards. 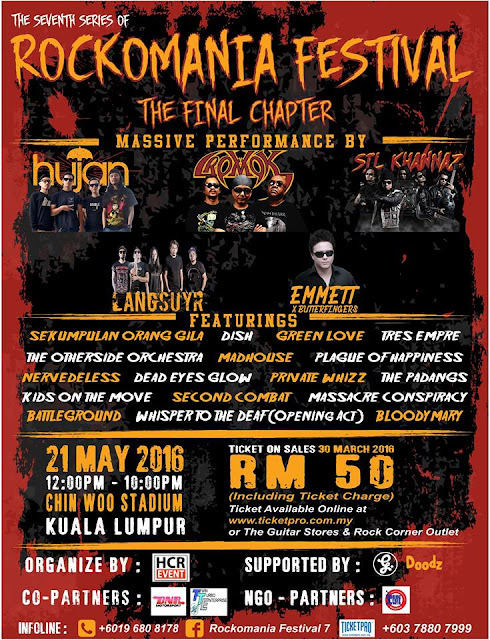 For more info on the festival, visit the Facebook page of Rockomania Festival 7 - the Final Chapter.